It's going to be a short one today folks. I'm leaving for north western New York in the morning and we've been packing all day. 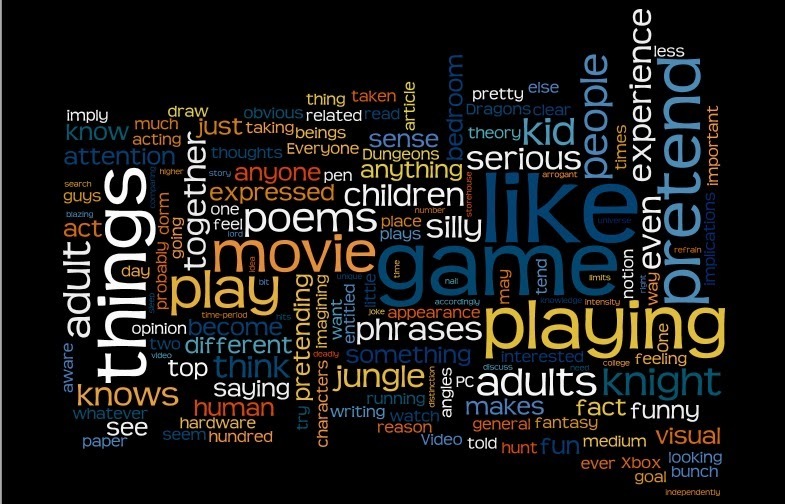 These Wordle things are a great way to add visual interest. Above are words from what I've been working on this week in no particular order and not necessarily written horizontally. I really don't know how much progress is a good amount of progress when it comes to something like writing a book. I expect a correct judgement of something like this depends on a lot of factors. For instance, one can't expect writing a cookbook to take the same kind or amount of effort as a travel book, and neither is the same as writing a memoir or a philosophical text. Anyway, I didn't add a lot of new words to the book this past week. I looked at what I've written. I tweaked things here and there. I added exactly two headings and marked off a place for a third just minutes ago. But, not that many words were added to the total. Clearly, words aren't really the point, they're the tool. But, they are easily quantifiable thanks to modern conveniences like white spaces and word processors. Less quantifiable (by me as much as anybody) is how close I am to determining how to present a particular series of interrelated ideas in the linear form that reading top to bottom, left to right necessitates. I did also have what felt like an absurdly difficult time attempting to write a pitch for a magazine article, and I made a good healthy start on my December article for the blog. I will be making time over my week long vacation (between day trips and the eating of turkey) to finish that article up for y'all. It should be an interesting one if I do say so myself. Perhaps you can guess the topic by looking at the above image? Warning, there is at least one red herring up there. I hope all of you in America have a good Thanksgiving, and that everyone else in the world has a good week at the end of November.